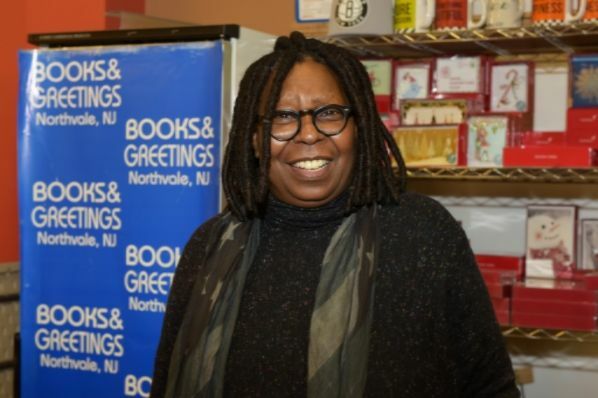 Whoopi Goldberg sent a welcome message this week that everyone can put politics aside and be decent human beings to one another. First daughter Tiffany Trump hit several fashion shows for New York Fashion Week (NYFW) – drawing attention not surprisingly. Most of the attention though was on the boycott among fashion designers who refused to sit beside her. Alyssa Vingan Klein, editor-in-chief of Fashionista, tweeted that it was a “s – – tshow” because nobody wanted to go near Trump. “Shocker,” she added. If this sounds like the sequel to “Mean Girls” or a scene from any high school TV show, it is. You would think adults are beyond this brand of adolescent nastiness, but apparently the fashion world is not. It’s especially telling of the fashion world, which is pushing #tiedtogether as part of a campaign to encourage unity during this divisive time in our nation by asking NYFW attendees to wear white bandanas. The intolerance of many in the fashion towards Tiffany Trump or even models who work for the Trump Models makes the campaign seem extremely hypocritical. Tiffany took to Twitter and accepted Goldberg’s offer. Kuddos to Goldberg for demonstrating decency in this situation. This was the best PSA on treating others with respect that we’ve had in quite some time. It resonates even more knowing that Goldberg, who espouses very progressive views and is such a critic of President Trump, knows when to put politics aside and be a reasonable person. This is a lesson we hope the mean girls at the NYFW take to heart.